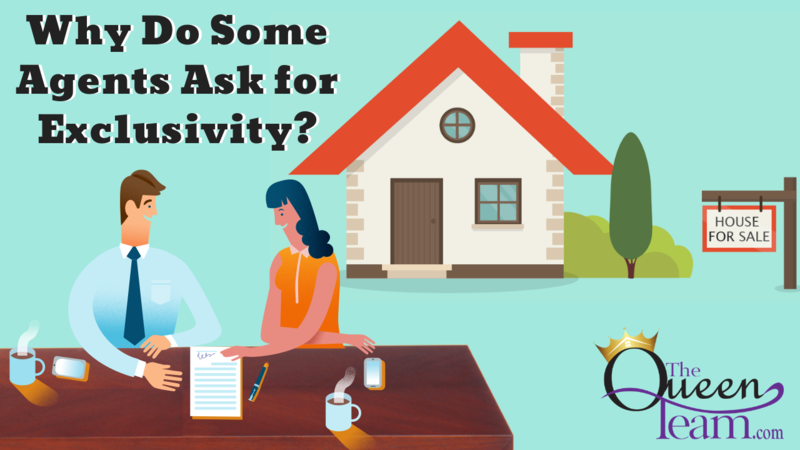 Why Do Some Agents Ask for Exclusivity? Why do some agents demand a buyer’s exclusivity? Well, most agents don’t want to put in their time and effort without being certain of a buyer’s loyalty. When are you committed to a real estate agent, why do agents demand exclusivity? Well, unlike most professionals who receive a steady paycheck, agents usually work on a commission. Buyer agents who are showing you properties and negotiating on your behalf are basically working for free. So in order for them to devote this kind of time and energy, they’ll want to know you aren’t going to switch to another agent once you get closer to closing. In order for an agent to devote their time and energy to you, they’ll want to know you aren’t going to switch to another agent once you get closer to closing. Some agents will ask you to sign a buyer’s rep agreement. This contract binds you and the agent to each other in a mutual working relationship for a given period of time. Once you sign this agreement, you are legally obligated to work with that specific agent. For this reason, it’s always important to read the contract carefully. If you sign the agreement and are happy with the agent, you should stick with the contract. However, you can ask the agent to cancel the contract if you are unhappy and don’t want to continue. Generally speaking, agents won’t want to continue working with a disgruntled client anyway. If you haven’t signed a buyer’s agent agreement, you aren’t legally tied to an agent and can move on whenever you please. But even if you aren’t technically exclusive with a single agent, people will tend to assume you are working together if you carry out a number of consecutive tasks with that same agent. Voice your expectations from the start to avoid any awkward misunderstandings.